Rising Star Ministries » Who Inspired You? If you know anything about me now, you know that I am a HUGE Michigan Football fan. You’d probably think it was my favorite team ever, you’d be wrong though. When I was growing up there was a soccer team in Detroit call the Rockers. I was a soccer player and my mother helped my love of the sport grow by taking me to their games. I loved them so much that I started volunteering to do anything I could to be a part of the team. I’d run around Cobo Arena with the team flag, I dressed with a soccer ball over my face, I spent time helping out in any way they needed. As an adult I even redesigned their logo, because I couldn’t find it on the web and made t-shirts to give as Christmas gifts. As a goalkeeper, I idolized Brian “The Goose” Finnerty. I remember the first time he taught a goalkeeping class at Franklin Middle School (the school I eventually attended), I thought it was the greatest thing ever. I eventually wore his jersey while playing in matches. When I was in elementary school Steve Boardman and Randy Prescott came to my school to hold an assembly. 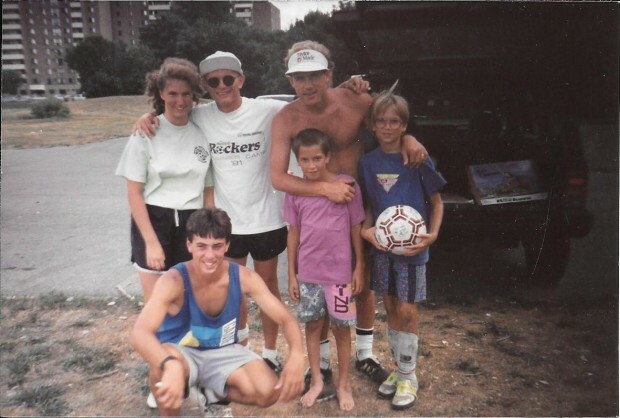 In the summer time I went to Rockers soccer camp. I even wanted to have a Ford Probe when I grew up because that’s the car that Drago drove. 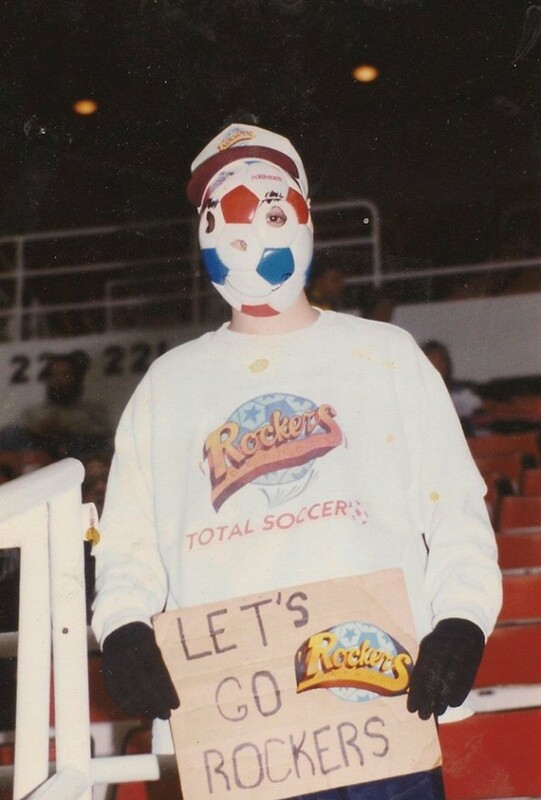 In 1992 you couldn’t tell me that winning the NPSL championship wasn’t the greatest thing ever, it was and they did it; overcoming the impossible to beat Chicago Power in the semi-finals and then taking down the powerhouse Canton Invaders. I could go on and on telling you about the history of the Rockers. Guys like Sean Bowers who would have stepped in front of a freight train to stop a shot, or Dan O’Keefe who had what I thought was the weirdest warm up routine, passing the ball off the boards back to himself. Or little known Bo Oshoniyi who made a very brief appearance for the Rockers and then went onto the MLS to back up legendary US goalkeeper Tony Meola (who also played in the league and had the only shutout recorded). There was Dennis brose who could score at will and then throw his sweatband into the crowd, which I thought was cool until you realize he was throwing his sweat at you. Names like Jay White, Steve Eise, Dominic Scicluna, Brian Theil or Drew Crawford who stood around five foot four on a ladder (and eventually became my boss when I worked at an indoor soccer facility) probably don’t mean much to you. But these are guys who helped shape my love of the game of soccer. I never had the skill or talent to become a big time soccer star, but I did and do have a love for the game that God shaped through these people and has led me to help kids here in Uganda love the game. A game that gives them hope to keep fighting through big or small obstacles. A couple days ago Drew shared a picture on Facebook when he visited Sean Bowers, one of his former teammates. It made me wonder if they had any idea that them playing a minor league sports, following their dreams could have such a global impact on much more than just people in the stands cheering them on. Who inspired you? Do they know how their impact was carried on? Remember that no matter what you’re doing, somebody is watching and that can inspire them, to inspire many more in their life.